Read this with interest. 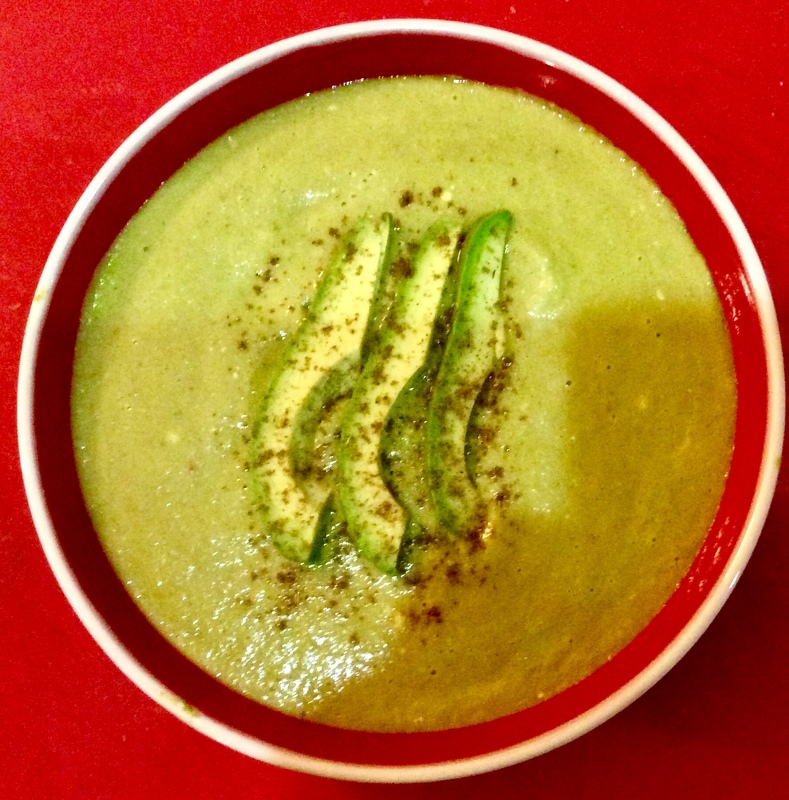 Never cooked avocado soup before. I find that there is a given moment in time with avocados where they turn from hard to soft in a blink of an eye. So, liquidising them for a soup is a fantastic option. Interestingly, making tarka dhal, I do scorch garlic separately to pour over at the end with coriander leaves garnish a final flourish. I wonder if hot oil containing scorched garlic slivers would work with this. Thanks for the recipe. Will store this one in the memory bank. It would certainly ‘work’ and I do the same with tarka dhal. If I was going to do this with the soup I’d up the spices a bit to give a stronger taste. As you say, avocados are awkward so and sos, insisting on not being ripe when you want them then in a flash going perfect when you don’t. This was my first cooking of avocado too.